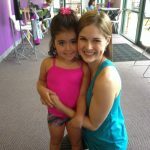 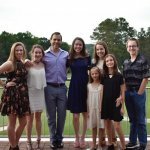 Atlanta Dance Central offers summer dance technique camps for students ages 7 & up. 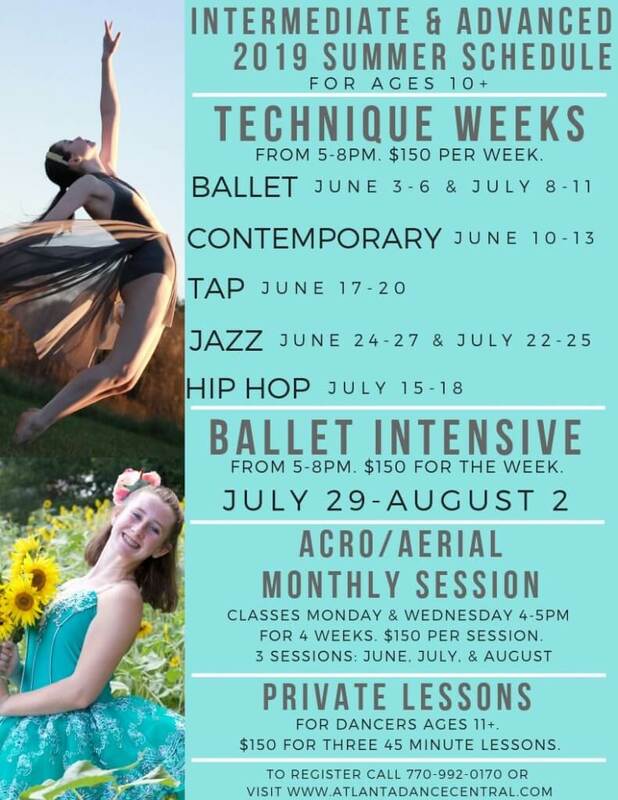 Styles include Ballet, Tap, Jazz, Contemporary, Hip Hop, Acro, Musical Theater, and Aerial dance. 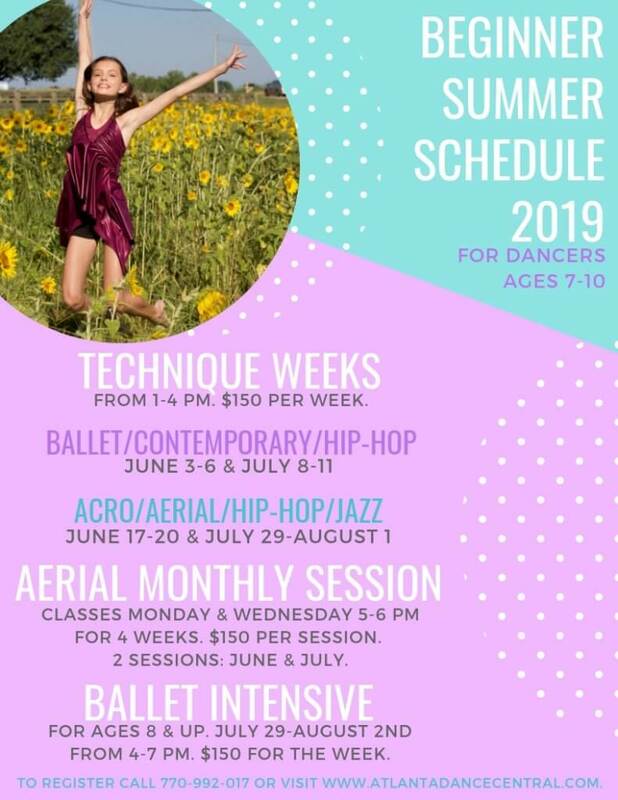 Technique camps give dancers the opportunity to build and strengthen their technique. 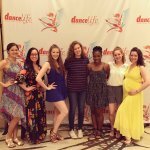 Technique camps are also a great time for dancers to try new dance styles!